There are literally several hundreds of attractions in San Diego and the San Diego County area. You will never run out of places and venues to visit. San Diego was first visited by Spanish explorers in the 1542, having landed at the site of the Cabrillo National Monument. They returned to create the first permanent settlement at Old Town San Diego. Many of San Diego's attractions are historical spots having to do with Spanish exploration, but many attractions were built during the mid-to-late 1800s. An example is the Gaslamp District which was developed in about 1867. Little Italy was created in the early 1900s by Italian Tuna Fisherman and their families that migrated to San Diego from San Francisco. 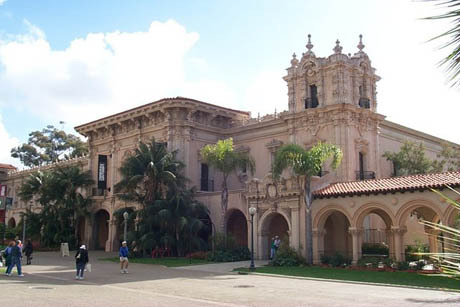 Balboa Park, the largest urban cultural park in the country can trace its beginning back to 1868 when development planning began. The San Diego Zoo began entertaining visitors back in 1916. And of course, the beaches in the San Diego area have been around for thousands of years while other attractions are more recently built venues. We've put together a collection of some of the most popular attractions in San Diego and will continue to add more on an ongoing basis. These should be ranked high on your agenda to visit.